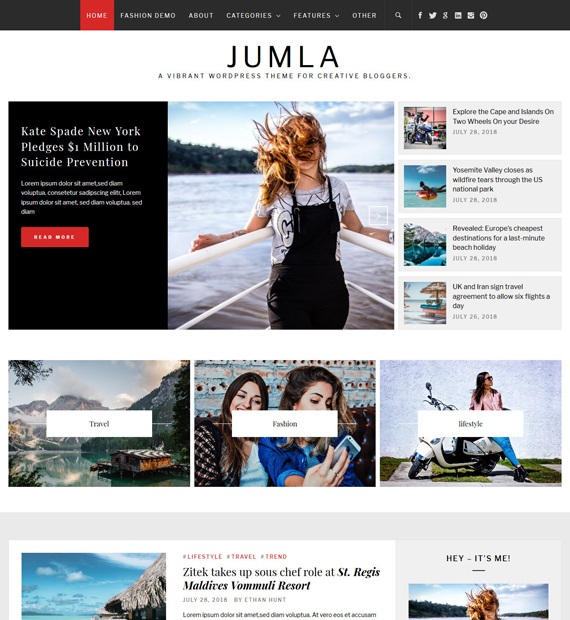 Jumla is a free WordPress blog theme that comes with a minimalist design that highlights your content. With this ultra responsive theme, your website would look beautiful across all devices regardless of screen size. It is not just light and clean but also allows you to add further details to add your personal flair to the site. Furthermore, Jumla is also built to be lightweight as well as SEO friendly so your website will be able to reach a larger audience.